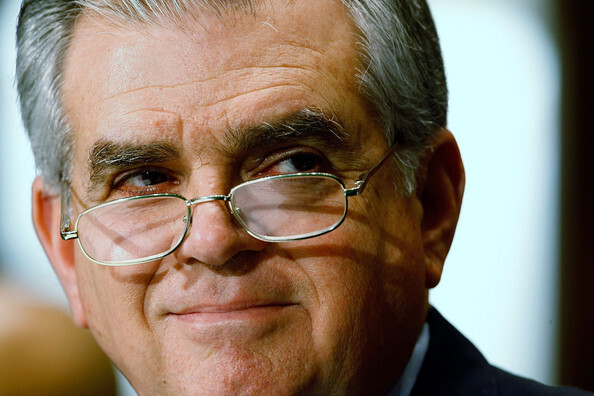 When former Transportation Secretary Ray LaHood announced earlier this month that he was going to co-chair Building America’s Future, I thought, “well that seems like a good place for him, but it’s not going to make his wife happy.” Mrs. LaHood has famously been needling him for years to get out of public office and make some money in the private sector. Looks like he’s getting right on that. He announced this week that he’s got a second gig lined up — this time, as a senior adviser at DLA Piper, one of the 10 largest law firms in the world. The firm doesn’t do much lobbying on transportation, though over the last few years it’s done $630,000 worth of business with Northeast MAGLEV, a Japanese-backed company that wants to build high-speed magnetic levitation trains on the Northeast Corridor. Despite his abiding interest in high-speed rail, LaHood will not, apparently, be lobbying his former U.S. DOT colleagues on Northeast MAGLEV’s behalf, since revolving door rules prevent such a thing — though technically, he can lobby his old colleagues in Congress any time he wants. A spokesperson for LaHood has made it clear that as a policy adviser, lobbying won’t be in his job description. James Hood at Consumer Affairs rolls his eyes at this, saying President Obama’s ethics rules leave too much room for government officials to use position titles like “lawyer” and “policy adviser” to do lobbying that would otherwise be banned. “You can, in other words, make a big show of closing the front door but it doesn’t do much good if the side door remains wide open,” Hood said. Joan DeBoer, LaHood’s chief of staff at U.S. DOT, is making the move with him. NHTSA chief David Strickland is also taking advantage of the revolving door, landing a plum job at Venable, LLP, a lobbying law firm that deals with auto regulation. What is wrong with entrepreneurship? Guys got to make a buck.